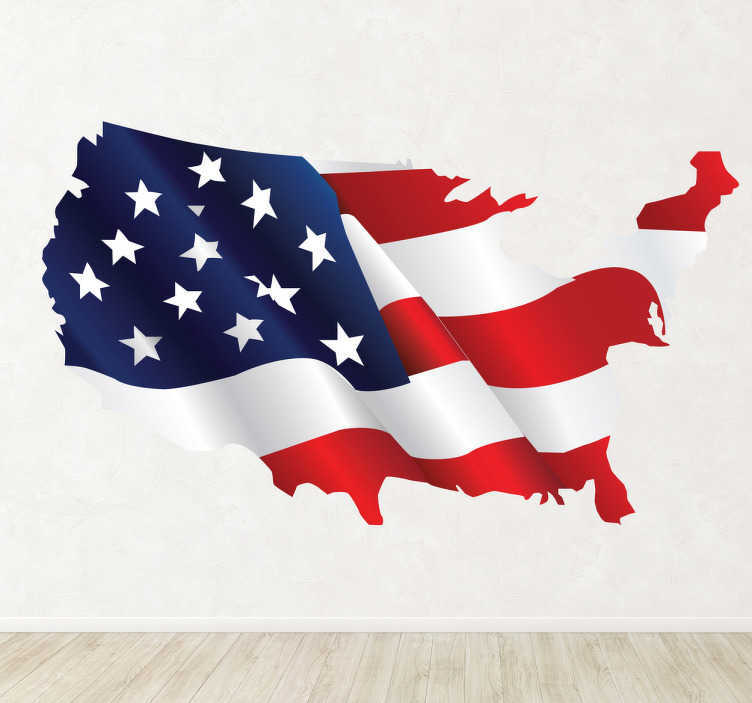 Vibrant USA wall sticker showing the American flag in the shape of country, perfect for decorating any living room, bedroom, teen's room and more! Personalise the empty spaces on your walls with stars and stripes of the United States flag, this red, white and blue design is sure to bring a refreshing look to your home decor. This awesome design shows a rippling US flag applicable to any flat surface leaving no residue upon removal.